Anyways, the time for all pumpkin everything will be coming to an end very very soon. It's really a sad thing, but at the same time I'm excited for Christmas recipes! Peppermint, gingerbread, eggnog; just to name a few. Let's not jump ahead though. 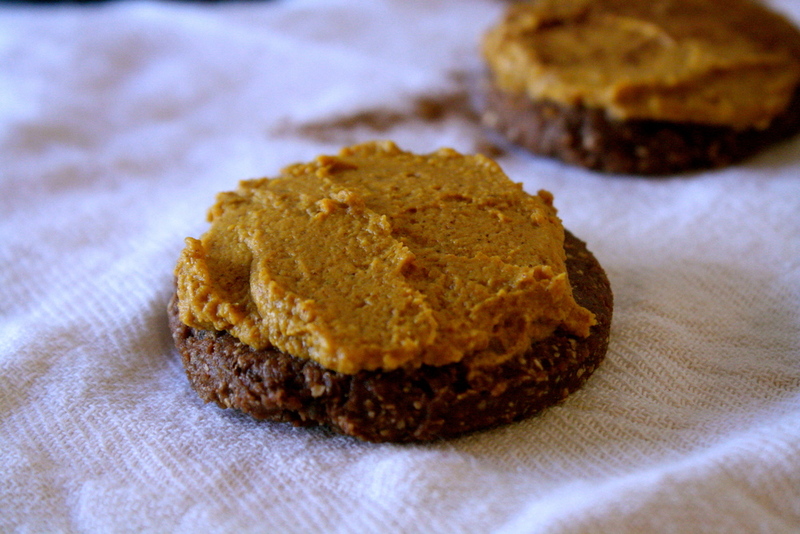 We should appreciate pumpkin while we can and what better way to do that than to pile it on top of some yummy chocolate cookies? The light and creamy mousse frosting compliments the chocolatey gooey cookie so well. The cookie provides just enough flavor to bring out spices in the frosting leaving your mouth in a euphoria of fall flavors. In a food processor blend together all ingredients. On parchment paper shape mixture into 16 medium sized cookies. Place in refrigerator. Prepare Pumpkin Mousse Frosting. In a blender or food processor blend together all ingredients. Place in refrigerator to set up for 30-60 minutes. Remove frosting and cookies from refrigerator and frost cookies. 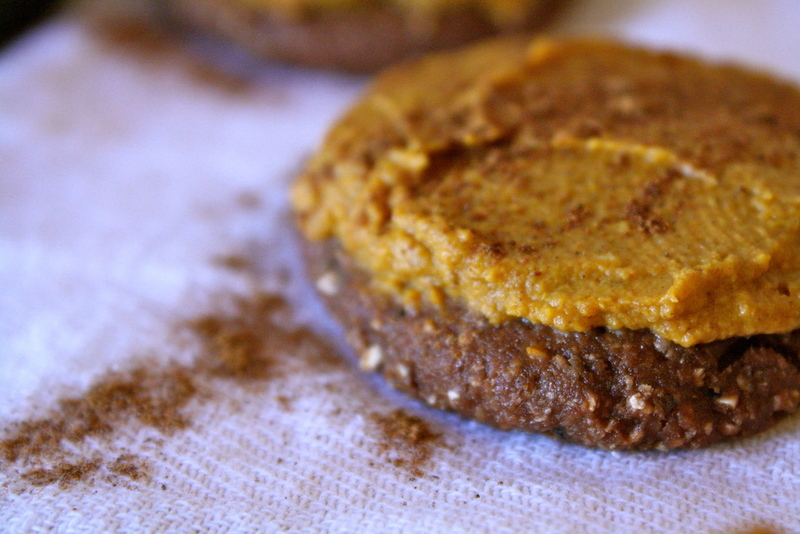 I topped these cookies with a little bit of cinnamon for a little extra flavoring. They're good with or without it though.